We present to your attention the latest developments in the field of technical controllers of physical condition. Consider the best model on the market. During the creation, wireless Bluetooth sensormeasuring heart rate - Zephyr hxm. This model is suitable for vehicles based on the Android OS. 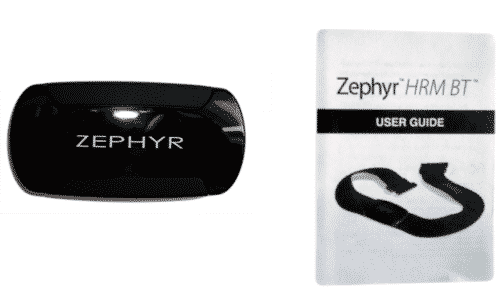 The Zephyr sensor is attached to the athlete's chest with a special elastic strap. This allows the reading sensors to be located closer to the heart, which gives more accurate results, since background beats and noises are not recorded. This modern pulse counter is equipped not only with fixing, but also geolocation sensors. In addition to direct measurement of the cardiac cycle (RR), the heart rate monitor is able to determine the distance traveled, its speed, and the speed of the athlete's movements during sports. The Zephyr hxm sensor communicates with the smartphone via Bluetooth 2.0 or 4.0 (this connection is available in almost all modern models). It is worth noting that the battery life is enough for whole 150 hours of continuous operation. Special mention deserves the application for sports Endomondopresented in Google Play. 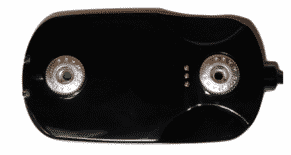 Initially, the utility was developed for sprinters and marathoners. The developers took into account the numerous wishes of users and added new features to the application. Now "Endomondo" has evolved into a full-fledged program for tracking physical activity. The following fairly well-known application in sports circles - RunKeeper. It has similar functionality with Endomondo, being its direct competitor. Both applications are able to track the running speed, exercise time, capture the pulse and rhythm. "Rankipper" keep a history of achieved results. There is an opportunity to plan your future loads. Interestingly, this application provides the opportunity to communicate with other athletes (you follow not only your results, but also you can see the achievements of others). This was achieved by linking accounts through social networks on Facebook and Twitter. 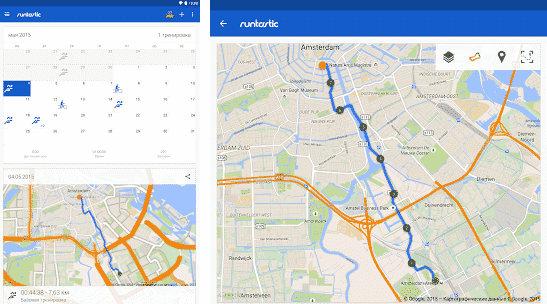 It is worth paying attention to another well-known application - Runtastic. In terms of its functionality, the utility is not inferior to the two above, but is “sharpened” for running activity. Runtastic is able to determine the type of movement: the speed is determined by running, walking, jogging, or even cycling. GPS navigation helps the athlete to pave the optimal jogging route; calculate the distance; note the time of exercise. In a couple of clicks, you can create an achievement chart and a table of optimal loads. Also, "Fantastic" is equipped with a calculator of calories burned. Thus, the considered Bluetooth-monitors for Android are useful not only for professional athletes, but also for amateurs. It is extremely difficult to select a leader from the above list, because each program has its own specifics and is tailored to one or another sport mode. It is easiest to determine the appropriate one empirically.